William Dymock was born on 11 May 1861 at North Melbourne, the fourth son of Scottish immigrants Walter Dymock, a wheelwright, and his wife Janet, née McFarlane. He was unmarried. He died suddenly in his 39th year on 5 October 1900 and, against his wishes, was buried in Waverley Cemetery with Presbyterian rites. William Dymock came to Sydney as a child and was apprenticed with John Andrews of Pitt Street in the book-selling business. 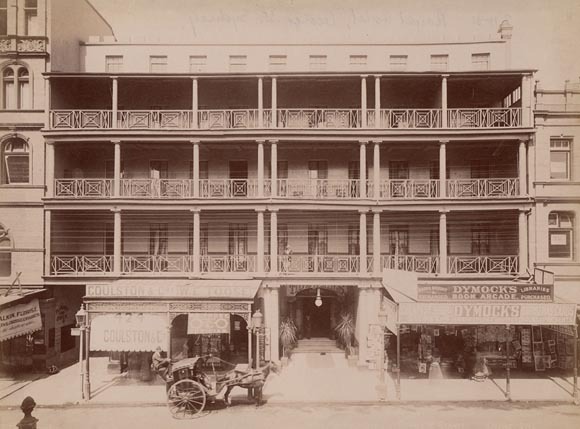 He later worked for James Reading and Company and George Robertson and Co. On returning to Sydney from a visit to England in 1880, he set up Dymock’s Book Arcade at 208 Pitt Street. After taking over the Picturesque Atlas Publishing Company, he expanded his Book Arcade to 142 King Street and, in 1890, to 428 George Street, adjoining the Royal Hotel. He engaged in publishing as well as bookselling and acquired valuable collections of antiquarian books. He lived with his sister Marjory and her husband John Forsyth at Peckham, Cowper Street, Randwick. Marjory Forsyth was the principal beneficiary of his substantial estate and the Forsyth family continued to manage Dymock’s book-selling business, holding a million books. In September 1900 Dymock gave evidence before the Legislative Assembly select Committee on the working of the Free Public Library. He was a member of a Masonic Lodge and also of several sporting and social organisations. He represented the Citizens? 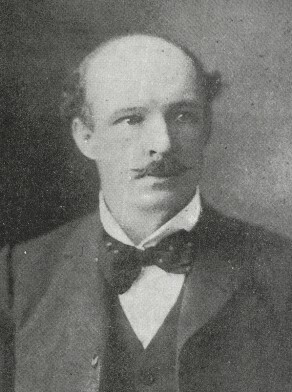 Reform Committee in the 1898 election and defeated Sydney Burdekin. He became Alderman for Macquarie Ward from 1 December 1898 to 5 October 1900 and was a member of the Works Committee, 1899-1900. Wallace Kirsop, ‘Dymock, William (1861–1900)’, Australian Dictionary of Biography, National Centre of Biography, Australian National University, http://adb.anu.edu.au/biography/dymock-william-6072/text10395, accessed 18 January 2013.